Extreme depths, cold water, crushing pressure and challenging currents. Experts agree - easy oil is gone. We reply that innovation isn’t. Chevron has implemented a suite of breakthrough technologies in some of the world’s most complex reservoirs. Jack/St. 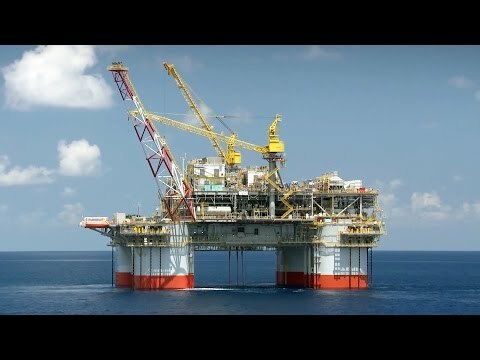 Malo is our signature deepwater project in the U.S. Gulf of Mexico. Through innovation and technology, more than 500 million oil-equivalent barrels are expected to be recovered. (451 km) south of New Orleans, Louisiana. The Jack and St. Malo fields were co-developed with subsea completions flowing back to a single host floating production unit (semisubmersible) located between the fields. Steve Thurston, vice president of Exploration and Projects at Chevron, explains that we elected for a joint development to “reduce cost and capture scale” and had field development occur in two stages for “learning and risk reduction.” Stage 1 was put in production in 2014 – on time and under budget. By the end of 2018, Stage 2 was completed, with four planned wells in production, and Stage 3 development drilling had progressed, with two of the three planned wells completed. Drilling an additional well is scheduled for 2019. The Stage 4 waterflood project began front-end engineering and design work in 2018. The final investment decision on Stage 4 is expected in the third quarter of 2019. Reaching this milestone helps meet the world’s growing energy demand and delivers sustained economic and community benefits along the Gulf Coast. Chevron pioneered the Lower Tertiary Wilcox trend of the U.S. Gulf of Mexico more than a decade ago. A global team, technology advancements, superior planning and excellent project execution came together to make Jack/St. Malo happen. It’s been said that humans know more about the surface of the moon than about the surface of the ocean floor. We’re changing that. Chevron pushed the limits of technology in the deepwater U.S. Gulf of Mexico to find oil beneath 7,000 feet (2,134 m) of water and more than 19,500 feet (5,944 m) of earth. A multitude of new technologies were deployed to safely develop and deliver production. Explore the innovative technologies that are advancing our progress in deepwater exploration and production. Natalie Martin, a Health, Environment and Safety specialist at Chevron, explains how process safety enhances personal safety on an offshore rig. To complete this project, Chevron collaborated with hundreds of suppliers and contractors, harnessing the talent of thousands of people across multiple countries. More than 200 Texas- and Louisiana-based businesses were involved in fabricating equipment and supplying materials, and the production at the Jack and St. Malo fields continues to support hundreds of local jobs. In addition to supporting local businesses, Chevron also invests in a number of charitable and civic initiatives along the Gulf Coast. View our Gulf of Mexico social investment report. Jack/St. Malo is operated by Chevron in a joint venture with Statoil, Petrobras, Maersk Oil, ExxonMobil and Eni.